As most of you know that I am so addicted to sock knitting, which just mystifies me sometimes. You see over the years my knitting skills have ranged from jerseys (back in the days when I grew up in New Zealand) and beanies, as I tend to get bored with any new item of knitting that I started. But hey not now…. The fact that they are small and can be knitted up quickly if you put your mind to it. 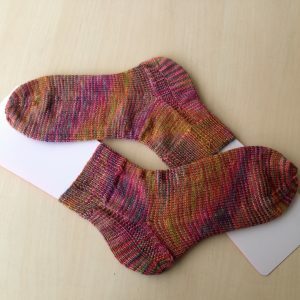 The wonderful choice of Indie Dyed sock knitting yarn that is available at a click of a button on the web now. So this brings me to a book that I purchased on line called Sock Architecture by Lara Neel. This is a fabulous book for anyone wanting to expand their sock knitting skills. 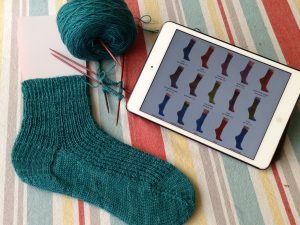 Who would have thought, when I first started knitting, that you would be able to at the touch of your iPad or phone be able to bring up a digital copy of a book, let alone any knitting pattern. Mind you I do still like the look and feel of a real book, but whilst travelling the digital versions are an amazing invention. I have only knitted three socks from this book and they are Bootstrap, Strie and Sidle. Still have fourteen more socks to tackle as would like to try and knit them all if I can. 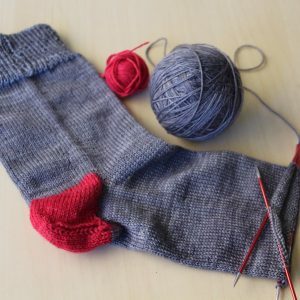 But there are so many other great sock knitting patterns out there, well that is a story for another day…. Until next time, happy knitting and crocheting folks and have a wonderful day. Everyone loves fun mail and surprises. This is at the core of why I love Woolswap. To have the opportunity to be paired up with another yarn crafter enthusiast to trade yarn and related goodies are pure fun. Woolswap offers a reasonable rate to get the ball rolling to yarn swapping and does a great job of finding you a perfect partner. I usually am as equally excited to pick out fun yarn and accessories as I am to receiving a package picked out just for me. I have participated in other yarn swaps but Woolswap is my favorite. My advice to a newbie would be to try Woolswap because it's reasonably priced, fun and easy. If you enjoy making other people happy and enjoy surprises; Woolswap is for you.